If you're selling items online, this scam can end up costing you thousands of dollars. Shoppers have heard the saying, "Buyer beware," but in the online marketplace there's now a new warning: "Seller beware." 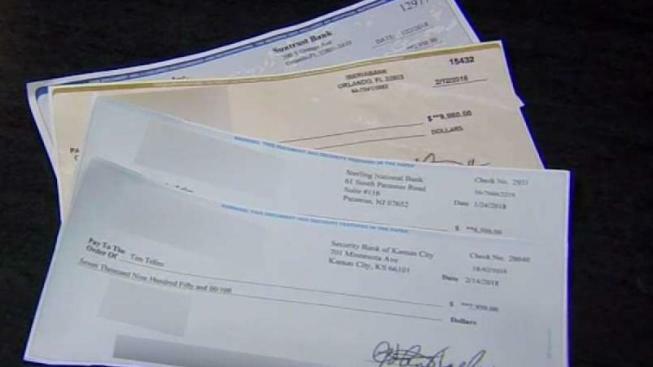 The Los Angeles County Department of Consumer Affairs says people hoping to sell items online are getting duped by phony buyers who send bad checks over the items' asking price and then ask the seller to wire back the difference. "It's a classic scam that we see year after year," said Keven Chavez, with the consumer affairs department. By the time the bad checks bounce, the sellers may have already wired the difference to the buyer, and recovering that cash is next to impossible. Sometimes, this ends up costing sellers thousands of dollars. The scam usually involves bigger-ticket items. If you do accept a check, call the bank to verify that the account is legitimate and the funds are available. Wire transfers are typically a red flag, so try to avoid them.